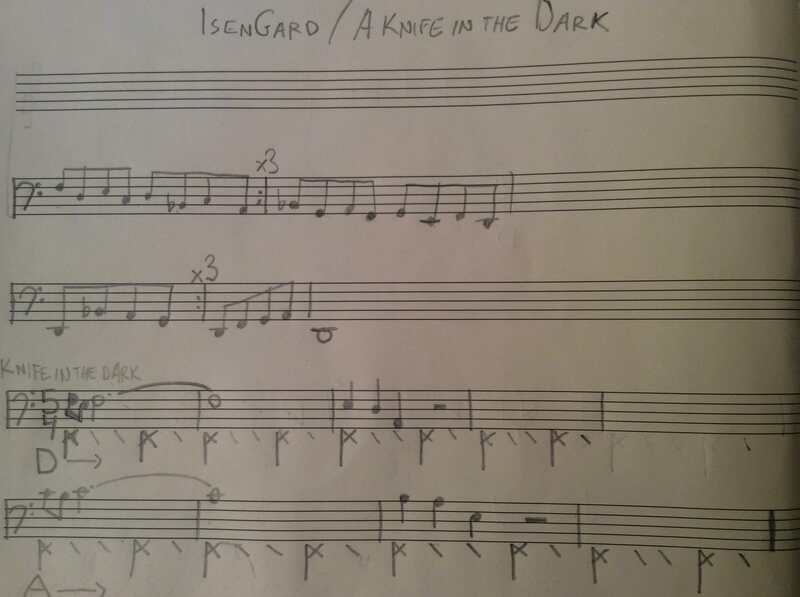 For my third composition task, pastiche of Howard Shore’s score for The Fellowship of the Ring, I’ve done a bit of research as well as a close reading of three tracks: “Concerning Hobbits” (The Shire theme), “A Knife in the Dark” (Isengard theme in 5/4), & “The Council of Elrond” (The Fellowship theme). Each of these themes are used by Shore in the Wagnerian method of leitmotif, and are cleverly weaved throughout the score as was fitting for each successive scene and cue. For instance the Shire theme appears regularly when the hobbits are on screen, partly to evoke a sense of nostalgia for the rustic homeland they left behind, and partly because that theme and that homeland are such a huge part of their characters (predominantly Frodo and Sam). In an extensive interview Howard Shore gave back in 2001 when The Fellowship of the Ring was being released, he gives some incredible insight into his creative process and what it was like immersing himself in the world and music of Middle Earth. “The score is an opera score, that’s the concept,” he asserts. He discusses orchestrating the whole score himself to give it a true feeling of cohesiveness, and wanting to personally conduct it to have that directness with the performers in bringing it to life.The soundtrack is fully acoustic with no electronic effects, samples or synthesizers, adding to its older yet familiar aesthetic. Shore blended elements of contemporary classical, operatic, traditional Celtic, and even a hint of Indian styles to create this rich and complex soundtrack. Rick Beato has a couple great pertinent videos that helped me in my analysis of this score: “The Film Music of Howard Shore – Part 1” and “Why Top Composers Use Chromatic Mediant Modulations.” In the first of these Beato closely breaks down a cue from one of Shore's Rivdendell cues. In the latter, he breaks down the idea of modulating a third away in all its various uses and possibilities, using common tones. All of which Shore makes use of in his score, including the Rivdendell cue. I’ve been experimenting with the retrograde/inversions of the themes, still working on completing the pastiches themselves. I’ve realized that tackling these three complex pieces in two weeks time was a little ambitious. So early December will see the completion of the Howard Shore pastiches, then the rest of the month will be focused on my next composition task: chip-tune classic video game motif. As was set forth, a reassessment of this whole process is called for. - Getting to formulate my own composition tasks is incredibly liberating. But at the same time it’s a little tough deciding what I think is the best possible way to improve my portfolio. - As of now, I’m happy with range of the composition tasks, since they are fairly diverse and are all genres I’m very much interested in. Having said that, I may consider swapping Spy Film Motif for something that I feel fits better for both the diversity aspect and my own interests. We will see. - Problems with the process include the somewhat blurred line between “pastiche” and “motif.” Though I called the horror exercise “motif” writing, they ended up being vaguely inspired by specific horror themes in a “pastiche”-like manner. I feel I need determine more clearly what the parameters are for these two types of composition tasks. - As I discovered with this Lord of the Rings pastiche, two weeks is not a whole lot of time. In retrospect choosing only one track from Shore’s score may have been better, but at this point I’m committed to doing three. Going forward though, time management should be of utmost concern. - Since a significant part of this project is the development and professionalization of my online profile (this website), I feel that allotting specific time or dates for its redesign would be beneficial. Therefore by January I plan to have at least a brief, formalized design plan. 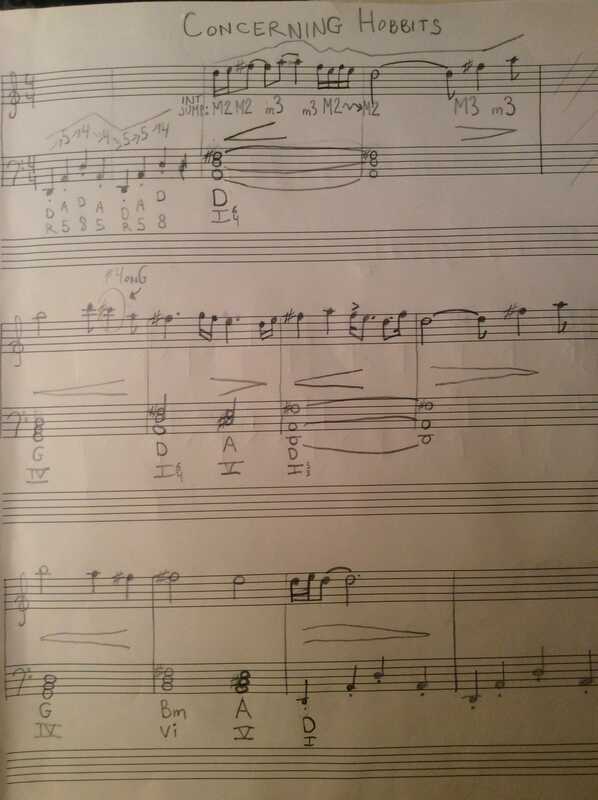 I plan to stick with the composition agenda until year's end, to finish the Lord of the Rings pastiches (possibly still with the One Ring theme instead of the Fellowship theme) and to compose at least one fully developed chip-tune piece. In early January I’ll post a revised version of the composition agenda that takes this all into account. Thanks for reading! Elijah out.